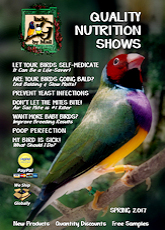 Formulated from culture tested superior quality organic beans, Tassie's Beans are especially important for Cockatiels, Eclectus, Galahs, Conures, White Cockatoos and other pet birds susceptible to cholesterol problems and Fatty Liver Disease (FLD). Tassie's Organic Beans are also recommended to improve fertility and breeding outcomes. Beans are a most versatile and nutritious food for all types of parrots, as they are an excellent source of protein, low in fat, contain no cholesterol and are high in fibre, folate, potassium, iron and magnesium. Dr Marshall and Tailai Obrien have developed a culture tested bean mix for larger parrots to provide them with variety and a low Glycaemic Index (GI) food. 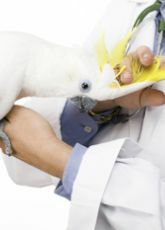 This type of food provides both pet parrots with a perfect protein balance and helps protects susceptible individuals from Cholesterol and Fatty Liver problems. This culture tested bean mix is also a perfect addition to the diet of breeding parrots as it is high in methionine, which is often called the breeding amino acid, and because fatty liver is a most common cause of infertile eggs problems, this bean diet will improve fertility. Our culture tested dried bean mix makes a perfect GI food option for pet birds, as they are a useful source of protein, high in fibre and low in fat. Our dried bean mix provides parrots with a nutrient dense food that satisfies the appetite and has a low glycaemic index (GI). With the addition of Turbobooster, this mix is ideal for pet birds as it provides the three major amino acids lysine, methionine and tryptophan that are often lacking in the other food types (millet seeds, fruits and vegetables) commonly fed to birds. 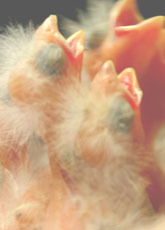 Turbobooster is the first choice product when aiming to produce fertile eggs and improve breeding outcomes in breeding pairs that continue to lay infertile eggs. The protein content of vegetables is an incomplete source even from those high protein vegetables such as spinach. The low fat cereal grains are low in lysine and the beans low in methionine. For this reason we have developed a mixture of beans and peas to balance the protein needs of your pet and breeding parrots. Providing fresh fruit and vegetables still remains an important part of a the diet of both breeding and pet parrots (see food value article for pet birds). 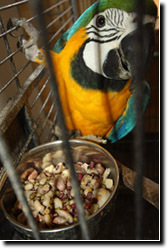 Field peas are added to our bean mix because they provide higher levels of cystine and methionine that are important in the diets of parrots for feather strength and especially when they moult. White beans (also called navy beans) are the best natural source of biotin, which has been found to help reverse fatty liver disease. We use beans with a lower glycemic response - i.e. black-eyed beans, kidney beans, green lentils, red lentils, split peas. We use this diet together with other low glycaemic fruits and vegetables to treat Fatty liver disease. The best way to prepare dried beans involves rehydrating them, then cooking them. Prepare a large batch in advance and freeze them as small portions in ice cube trays for quick meals during the week. Dried beans need to be soaked before they are cooked. The soaking process limits cooking time and preserves its nutrients. Soaking also prevents the side effects of gas flatulence and the discomfort of indigestion caused by dried beans. The beans maybe boiled first then soaked or vice a versa. They must be rinsed clean before and after soaking. 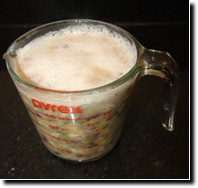 The dirty water associated with the soaking process must not be used to cook the beans in. Measure out the quantity of beans to be cooked. 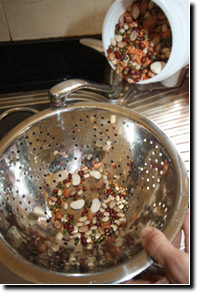 Using a sieve rinse the beans thoroughly under cool running water in order to clean them thoroughly. 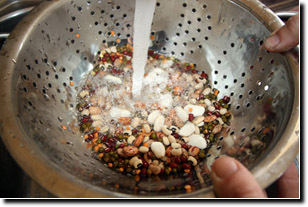 Pour the bean mix into a bowl, cover with cold water and remove any "floaters" as these will not cook properly. Place the bowl in the refrigerator overnight or for eight hours. This soaking process softens the peas and shortens cooking time, which is necessary to retain the nutrients within the beans. The overnight soaking starts the germination process, which converts the complex sugars into simple sugars. In so doing the problem of uncomfortable gas "flatulence" and indigestion is reduced. The overnight soak reduces 60% of complex sugars responsible for gas formation. Before cooking the beans it is necessary to again rinse and drain the beans three to four times until the dirty water runs clean. In order to completely eliminate the possibility of indigestion for your pet bird, do not use the dirt water to cook the beans. Fill pot with enough clean water to cover the beans. Boil in microwave for 1-15 minutes or bring to boil, then cover and simmer for 1-2 hours until beans reach the desired tenderness. Serve hot on own or with cooked brown rice and vegetables. Drain off the water and pour the beans into a heavy pot with a lid. Fill the pot with enough water to cover the beans. The cooked beans may also be frozen into small portions in an ice cube tray and reheated when required. Add 2 cups of water to every cup of beans and boil for 2-3 minutes. Allow beans to sit for 2 hours in same water. 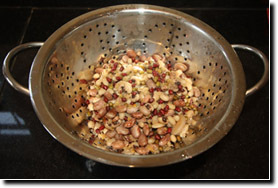 Rinse beans thoroughly until water is clean when it is time to cook them. These cooked beans may also be frozen into small portions in an ice cube tray and reheated when required. 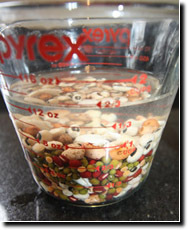 This is the best method for preserving the key nutrients in our bean mix. Our Bean Mix can be incorporated into any daily meal. For birds with cholesterol and fatty liver problems it is best given in the evening meal. It may be mixed with boiled brown rice (GI = 48) or buckwheat (GI = 25), and low GI fruits (e.g. grapefruit GI = 25, tomato GI = 25, prunes GI = 29) and vegetables (e.g. green peas, broccoli, celery spinach, brussel sprouts, red peppers). KD Powder - Multi-purpose water cleanser that kills germs and "self-cleans" the drinkers, removing all traces of sludge automatically. Aviclens Water Cleaner - keeps the drinking water sparkling clean, fresh and safe. 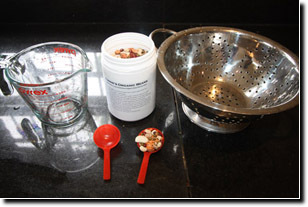 Aviclens slows the fermentation process during seed soaking.